A trave ling exhibit designed to promote the inclusion of people with disabilities through respect for others, comfort during interactions, and awareness of disability issues. 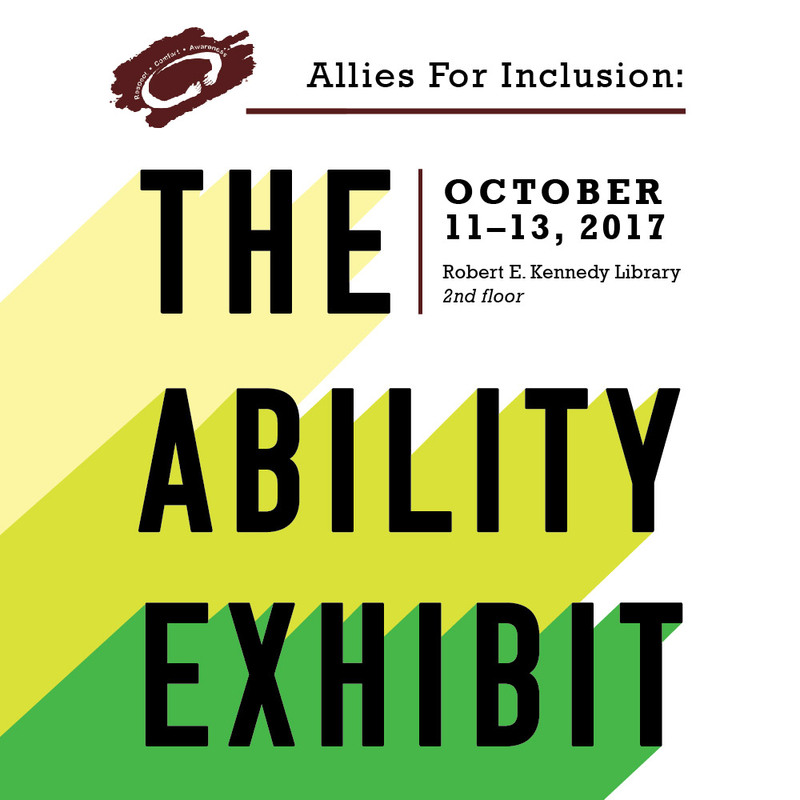 Sponsored by the Disability Resource Center and created by Saint Louis University’s School of Education, the Ability Exhibit is a traveling exhibit designed to promote the inclusion of people with disabilities through respect for others, comfort during interactions, and awareness of disability issues. Using a multi-media approach to demonstrate respect, comfort and awareness, the exhibit offers suggestions for becoming disability allies and educators. Docent led tours: Wednesday through Friday from 10:00 a.m. to 5:00 p.m. Reception: Wednesday October 11, 2017 from 10:00 a.m. to 11:00 a.m. Yes! Thursday! It's 9:29pm right now.